Since the release of Sony’s PlayStation Portable in 2005, I have spent hundreds of dollars and gone through dozens of headphones looking for the perfect set for mobile gaming. The Tt eSPORTS by Thermaltake’s Isurus in-ear gaming headset has ended that search for now. I’ve always known of Thermaltake as a top quality PC power supply company. As a matter of fact, I have one in my desktop PC right now. So when I received the Isurus headset from them I was eager to try it out. Oddly enough a week before I received the Isurus headset, the earbuds I was wearing daily had died on me. In need of a new set I went to my local Best Buy and picked up a pair of earbuds that set me back around $40. They barely got the job done, and I was getting used to their low quality, that is until these arrived. The first thing I noticed right off the bat was the depth of sound I had gained when I put the Isurus in. Specifically, the bass was far better, this is most likely due to the 13.5mm drivers. I don’t even know how they packed 13.5mm drivers into these earbuds. Normally my day is spent listening to podcasts, and even in spoken word you could here a substantial difference over the generic $40 headset I was using. Music and games also sounded crystal clear and you could really immerse yourself into them. When you first take the Isurus in-ear gaming headset the size of the buds themselves may seem a little big, but they fit quite well into my ear canal and I barely even notice them. If the actual bud is a little too big, the are 3 difference sizes to choose from. These can easily be stowed away in the pouch that comes with the headset. Another nice feature is the clip that comes with the headset that allows you to attach the headphone cable to your shirt. Normally, I’m pretty rough with my iPod, and this had reduced the amount of times I rip my buds from my ears drastically. The feature that I have used more then I thought is the in-line microphone. I have a DRIOD Bionic, and while I won’t say it has the worst microphones built into it, I also won’t say they are the best. My wife actually prefers that I call her with the headset because she can hear me better then when I hold the phone to my ear or use the speaker phone. This really blew me away. 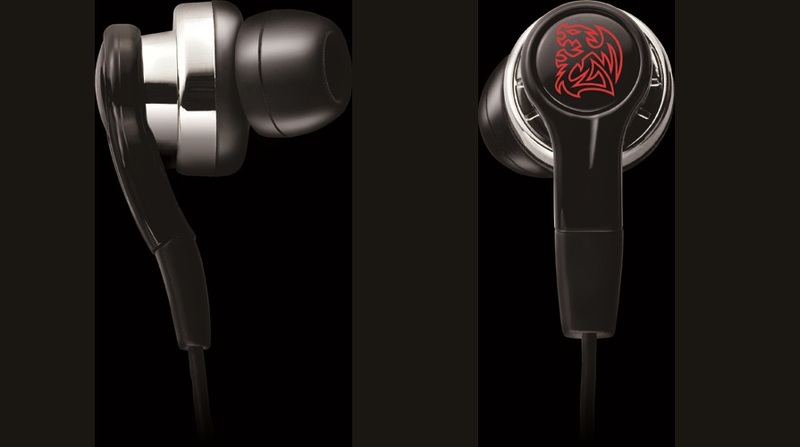 The only thing that I would change about Thermaltake’s Isurus in-ear gaming headset is it’s lack of in-line iPod controls. If they were to add them to the next model, I’d be purchasing them in a heartbeat. The Isurus in-ear gaming headset has been better than earbuds that I have spent over a hundred dollars on, and the best part is they are crazy affordable. You can find them on Amazon for around $35 in black, red or white. For that price, you should buy one to have on you and one to leave at your desk at work. 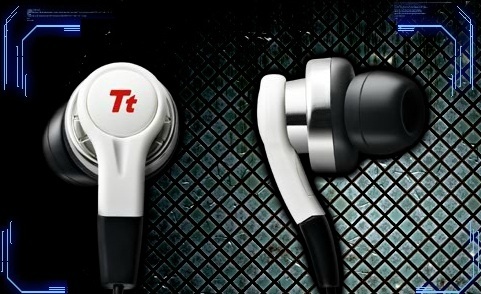 I see absolutely no reason to not go out and pick up the Tt eSPORTS by Thermaltake’s Isurus in-ear gaming headset. *The product in this review was provided by the manufacturer.